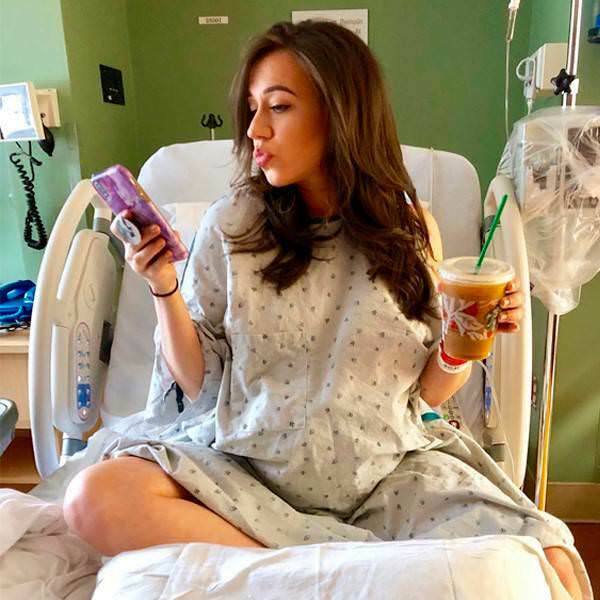 Colleen Ballinger welcomes first child! YouTube Star known for popular channel 'Miranda Sings' welcomes a baby boy! Youtube star welcomes first child! YouTube Star Colleen Ballinger, better known for being Miranda from 'Miranda Sings', has welcomed her first son, whose name has not been announced yet, with fiance Erik Stocklin who starred in Colleen's Netflix show, Haters Back Off. Colleen confirmed the birth through twitter when she tweeted plainly: 'He's Perfect'. Weeks ago, Colleen starred in Ariana Grande's music video for her latest song 'Thank U, Next' as a pregnant cheerleader who claimed to have gotten pregnant because they had read that Ariana was pregnant and showed Ariana kissing her belly. Ariana and Colleen are known to be very close friends and Colleen has also been known to refer to Ariana as family. Grande was quick to offer her support when she saw that Colleen was in labour and said that she loved Colleen so much. A photo was posted a mere 10 hours before showing the comedian and singer as she just entered labour, sitting on a hospital bed whilst wearing a hospital gown with the caption "here we go". A fan later asked her on twitter who the newborn looked like and Colleen said that he looks exactly like her fiancee and added that it is spooky seeing how similar they look. The baby was due on the 1st January 2019 but Colleen has expressed how glad she is that the baby has come before Christmas claiming that the baby has come so early because he "didn't want to miss Christmas." Don't think I've actually watched a Miranda Sings video before, congratulations to her though!